Our organization is engaged in manufacturing and offering a quality range of Lamination Machine With Accessories from Delhi and NCR. 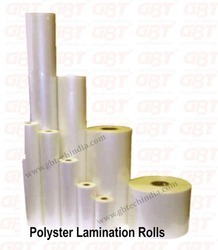 These are widely used for lamination purposes of all kinds of material such as posters, boxes and varied papers. The range is tested on different parameters to ensure that these are shock resistant, consume less power and are easy to operate. We offer these at industry leading prices to the clients. Laminating films use polyester (PET) film as its base film, adhesive (EVA resin) is evenly applied on one side of the polyester (PET) film. After special processing, it turned into advanced packing material, and it is widely used for the laminating and protection of material like identification card, historical accounts, photos, pictures, credit cards and important documents. After laminating, the material has the unique function like water resistance, alteration resistance, damp resistance, worm resistance and mildew resistance on general acid-base. What's more, it is stiff, smooth and pleasing to one's eyes, since it has good transparency. Use GMP laminating in your business and personal life. 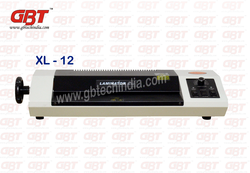 Enjoy greater success in both areas with our top level Mr-12 pouch laminators.We offer fast and remarkably easy to operate system which is specially designed to make your documents tamper-proof while enhancing their professional appearances, within just a few seconds. Your paper is lustrously transformed, permanently sealed, and stays ever clean! The range of applications only limited by your imagination-License, ID cards, Desktop presentations, Promotional aids, Certificates, Business cards, Luggage tags, Instruction sheets-the list goes on and on. A compact GMP pouch laminator takes up a minimum space and blends beautifully into today's office environment.Hot & Cold lamination Variable set temperature13 positions for every 5 of temperature (80-140)Laminate up to 12" (320mm wide): MR-12(Q1)Convenient system for easy operation Useful for home as well as office Low cost and durable Compact & portable design Wide range of films and paper thicknesses can be used Carrier less Lamination. We offer fast and remarkably easy to operate system which is specially designed to make your documents tamper-proof while enhancing their professional appearances, within just a few seconds. Your paper is lustrously transformed, permanently sealed, and stays ever clean! The range of applications only limited by your imagination-License, ID cards, Desktop presentations, Promotional aids, Certificates, Business cards, Luggage tags, Instruction sheets-the list goes on and on. 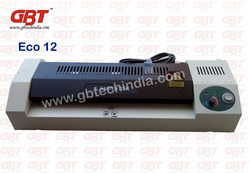 A compact GMP pouch laminator takes up a minimum space and blends beautifully into today's office environment. 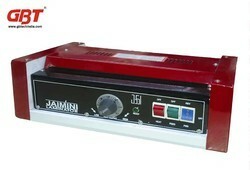 This laminator is great for laminating certificates, reports, luggage tags, business cards, ID cards and more. 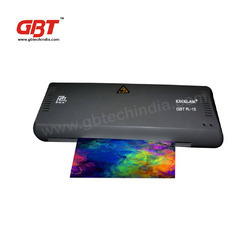 The GBT LM 18 inexpensive laminator with many high-end features such as an adjustable temperature control and a quiet, synchronous motor. 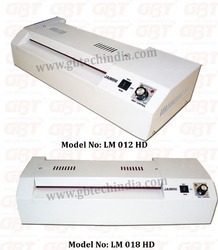 This 4 roller laminator can use lamination film up to 250 micl thick and can laminate documents up to 18 inches wide. 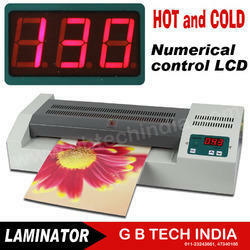 This laminator is great for laminating certificates, reports, luggage tags, business cards, ID cards and more. 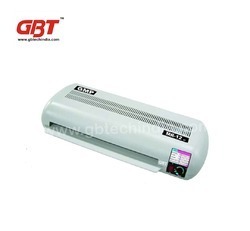 The GBT LM 024 inexpensive laminator with many high-end features such as an adjustable temperature control and a quiet, synchronous motor. 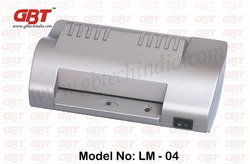 This 4 roller laminator can use lamination film up to 250 micl thick and can laminate documents up to 24 inches wide. The most popular laminating size:12.5",suit for A3,A4 or Letter size Paper. without knob. Infrared heating lamp or mica sheet heating. Temperature can be adjusted variously according to different requests, and also with cold lamination function. With high quality and low noise motor, running steady and with long lifespan. With high temperature protector, safer for use. 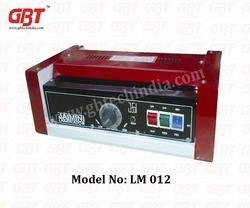 · Heat / Cold Switch: Offers cold lamination function. 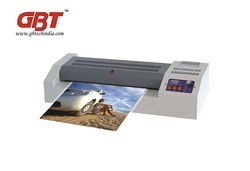 Product Details The GBT 330-SCL Commercial Grade Hot and Cold Laminator has a durable Metal Cover, is equipped with FOUR rollers and can laminate documents up to A3 width and pouches up to a total of 500 micron (2x250m) in thickness. 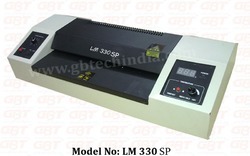 Our Speed Automatic Lamination Machine (LM 330SP) are easy to operate and save the time of the user. These are fabricated using premium quality raw material and are capable of laminating all types of material. The machine also offers protective sheath for the material laminated and is thus, widely in demand across the market. We offer these at economical prices to the clients. which widely used for many scopes. It belongs to office, shcool and life consumable goods. Characteristic: glossy laminating film, good transparency, anti-static, durablity. 54x86, 60x95, 70x100, 95x135, 110x160, 135x185, 216x303, 229x292, 303x426 etc, of course, we can make various specifications according to your needs. Packing: 100 or 50pcs per bag(depending on the thickness), one bag in an inner box then in an outer carton. 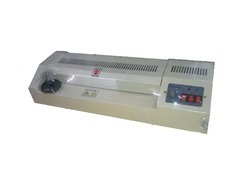 (according to customers' requests) laminating temperature: 100-140c, based on different thickness.